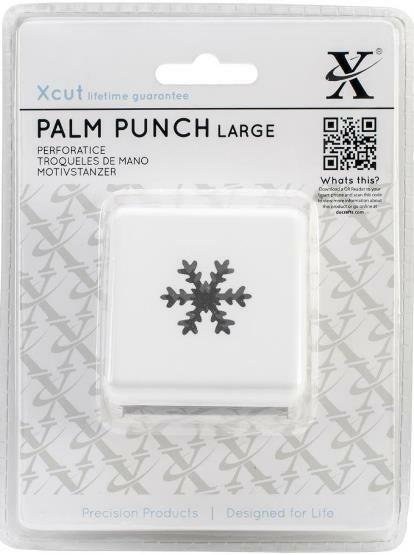 Docrafts-Xcut Large Palm Punch. This tool can easily punch flat, hand held and upside down for easy borders on all of your paper projects! It can cut through paper, thin foam, vellum and cardstock up to 300gsm. It is also compatible with the Xcut Border Punch System. The punch creates a 1 inch design. This package contains one 2x2x2 inch punch. Design: Snow Crystal.